Mike’s Hardware and Supply has been serving New Orleans residents, contractors and businesses since 1981. 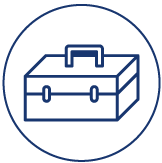 With over 13,000 in-stock items, our knowledgeable and friendly staff will ensure that you to get the right material to complete your job every time. 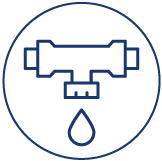 Full line of pipe, fitting, valves, and accessories for PEX, PVC, ABS, copper, galvanized, black iron, brass, vent, and more. Contractor Packs and Bulk Pricing available! 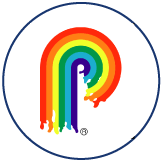 We carry the full line of PPG Pittsburg Paint with custom color match computer and specialty products by Marine Paint Co., Flood, Glidden, Zinsser, and more! We stock everything from pipe fittings for your claw foot tub to Florentine Glass to rare key blanks and lock parts for your historic New Orleans home. Ask about out Screen Repair Shop! Mike’s Hardware is proud to carry Milwaukee Tool, the industry leader in both durability and performance. With an unwavering commitment to the trades, Milwaukee continues to lead with a focus on providing innovative solutions. 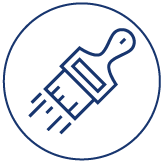 The Pittsburgh Paints brand offers over 300 years of combined tradition and knowledge and is committed to providing the highest quality paints. They are also sponsors of Independent We Stand, a movement to inform communities about the importance of “Buying Local”. 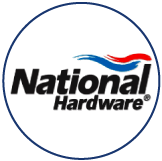 National Hardware is the leader in builders hardware today with more than 15 product categories and over 7,500 SKU’s. They focus solely on builder’s hardware, with high-quality products that exceed certification standards.